Southampton is a centre for outstanding research in engineering and chemistry; on this one-year masters degree you’ll benefit from our academics’ expertise in both subject areas, as well as our strong industry links. Distinctive for its focus on sustainable approaches to chemical engineering, it offers an advanced training in process control and reactor design for sustainable technologies, enabling you to solve complex engineering problems. You’ll also gain real-world insights by working on a brief set by industry, boosting your employability. You’ll graduate with a Southampton engineering degree that is highly respected by employers, with excellent job prospects in sectors such as energy, pharmaceuticals and biochemicals. 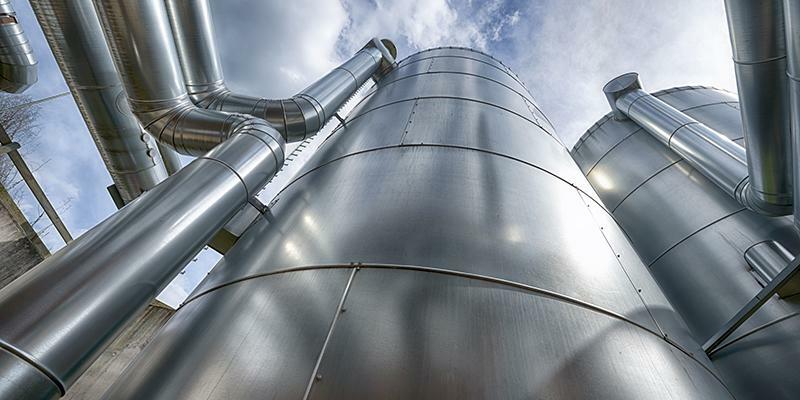 Chemical engineering is a well-rewarded career with exciting opportunities; average salaries for experienced Chartered Chemical Engineers can reach over £70,000, and your skills will be sought after by companies around the world. Whether you are looking to build on your undergraduate studies or advance your career, the MSc Advanced Chemical Engineering degree will help you achieve your ambitions. In compulsory modules you’ll cover essential areas of chemical engineering, including the computer systems and algorithms that control chemical engineering processes, and safety and risk management. You’ll also learn about the design and operation of reactors for low-carbon and energy conversion technologies. You’ll undertake a group design project, which involves taking on the role of consultant and, as part of a team, working on a brief set by one of our industry partners. 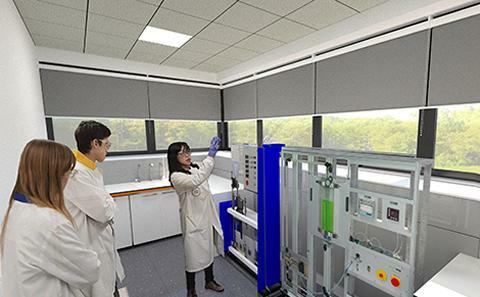 It’s an opportunity to address a real-world problem – for example, you could be asked to design a biodigestor unit for a specific location, solve a wastewater processing problem or design a new reactor for a fine chemical preparation. You’ll develop both subject-specific and professional skills, enhancing your employability. You’ll conduct a substantial piece of independent research for your MSc research project. As well as gaining in-depth knowledge of an aspect of chemical engineering that interests you, you’ll develop your research, problem solving and project management skills. The topics on offer are linked to our academics’ own research, so you’ll be exposed to the latest advances in the field. It’s also possible to do your research project in industry; our placement team can help you to look for a suitable placement. We use our industry connections to give you insights into industry challenges and ensure you gain the skills employers are looking for. Partner companies, such as ExxonMobil, set group projects for our students, and you’ll hear from industry guest speakers in many of your modules. In addition, we organise site visits to a biodigestor unit, refinery plant and wastewater plant. These visits help you put your learning into context and give you the chance to talk to chemical engineers about current issues in their sector. Southampton’s chemistry and engineering facilities are among the best in the UK, giving you access to state-of-the-art equipment and learning spaces. The teaching laboratories and facilities in the Chemistry Building are undergoing a £12m refurbishment, which will be ready for September 2019, whilst much of Engineering has recently moved to the redeveloped Boldrewood campus, which houses resources such as a purpose built design studio. Depending on your MSc project topic, you could spend time conducting research in our £120m cleanroom complex. 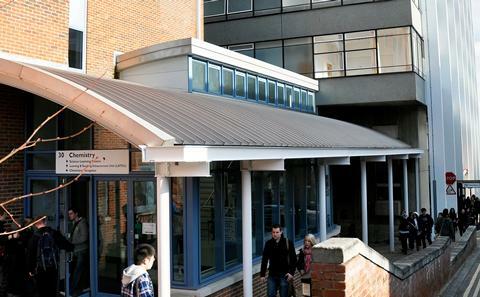 As you would expect from a Russell Group university, Southampton has a proven track record for high-quality research. In the most recent Research Excellence Framework our engineering research was ranked first in the UK for general engineering research power, and 94 per cent of our chemistry research portfolio was rated as world-leading or internationally excellent. You’ll learn from the academics who are doing this exceptional work. They are contributing to advances in areas such as next-generation batteries and fuel cells, materials discovery, wastewater engineering, microfluidics and flow, and novel molecule synthesis. Through teaching and research project supervision, they’ll share their expertise and expose you to the latest ideas and technological developments. 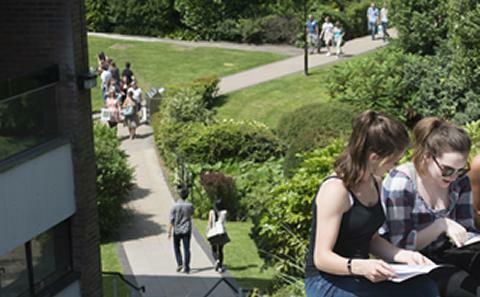 You’ll join a welcoming and friendly postgraduate community at Southampton. The course is designed to help you get to know your classmates straight away, and you’ll be able to develop a network of friends and contacts from around the world during your time here. Your personal academic tutor and MSc project supervisor will provide the academic support you need to achieve your best. You’ll also have access to a range of University student support services should you need them, including learning skills and English language support. You can apply through the University of Southampton's online postgraduate application system. For more background and detailed information, visit how to apply web page. This is a full-time programme. You’ll complete a Group Design project and take six taught modules across semesters one and two, three of which you can choose from a range of optional modules. You’ll then spend the final four months of the course working on your MSc research project. Grades: 2:1 or 1st Class Degree in Chemical Engineering or a closely aligned engineering degree. The full-time MSc programme lasts for 12 months. The first 8 months are normally spent mainly on the taught component, with lectures divided into two 12-week periods (Semesters 1 and 2), and with exams at the end of each semester. The modules are listed at the end of this section. The final 4 months are spent full-time on a research project. Research skills training will commence in Semester 2 when project titles and supervisors are assigned. During Semester 2 you will complete the project proposal and literature survey so that you are able to focus on the research aspects during the Summer Semester. The MSc award depends on passing the examinations and on successful completion of a dissertation on the project. Students select one option module in Semester 1 (unless required to take SESA3030) and two optional modules in Semester 2. SESA3030 is compulsory if not met by prior learning. The requirements for students to take this module will be assessed at the time of the offer of a place on the course You must not take this module if you are not required to. You’ll graduate with in-depth chemical engineering knowledge, technical know-how, and the professional skills that employers are looking for. You’ll be able to demonstrate your ability to communicate, solve problems, work as part of a team, fulfil a brief and meet deadlines, helping your CV to stand out. Career destinations include technical and managerial roles within a range of sectors, including biochemical engineering, fine chemicals, sustainable power generation, water/waste water management, health, safety and environment. Whether you’re interested in working for a large chemicals company or a specialist consultancy, you’ll have plenty of career option. The programme also provides an excellent basis for further study at PhD level, in chemical engineering or a related discipline. From CV and interview clinics to networking events and careers fairs, our Careers and Employability Service offers a wealth of opportunities to enhance your employability. If you are interested in starting your own enterprise, our on-campus start-up accelerator, Future Worlds, can help. The Future Worlds team runs workshops, offers advice and can put you in touch with mentors and potential investors.